Concern over letters being mailed to southwest suburban areas with significant populations of color, shaming voters based on their alleged voting history. Electioneering – campaigning and pressuring of voters by partisan campaigns. Inconsistent experiences with election judges, including instances of disenfranchisement by election judges not following the law. Equipment failure – many old voting machines across Illinois jurisdictions caused delays which resulted in voters losing confidence in the system and some leaving the polls without voting. Delayed opening of polling places due to late setup and poll worker shortages. Barriers for people with disabilities accessing their polling places. Thanks to our dedicated volunteers and partners like Kirkland & Ellis LLP, we protected access to democracy across the state. We are grateful for all your passion and hard work! Thanks to you, a diversity of communities reached out to us when they encountered problems and questions at the polls. We also thank state and local election officials who worked with us to resolve many problems on the ground. 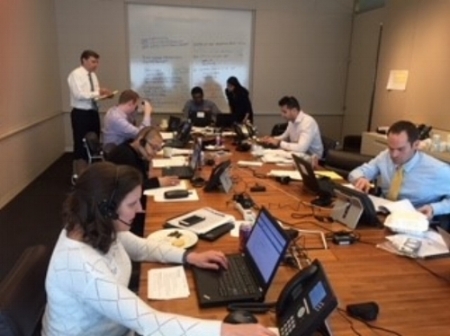 Our trainings at Kirkland & Ellis LLP and University of Chicago Law School provided legal volunteers with the tools to assist voters on Election Day. 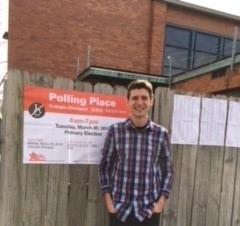 During this election, our legal volunteers also advocated for eligible voters in pre-trial detention at Cook County Jail and at area nursing homes. We will continue to address systemic inequities in voting across the state.